The CoffeeShop Blog: CoffeeShop "Facebook Cover Set #29"! CoffeeShop "Facebook Cover Set #29"! Today I have a new layered Facebook cover that is completely customizable. It comes with three different background options (distressed, damask, solid color) and the photo frames and logo ribbon colors can be changed. You can also move the photo frames around if needed or add your own digital paper or texture to the background. I want to thank Jill Wellington (Etsy Shop, Facebook, Blog, YouTube Videos, Pixabay) for allowing me to use her images in the examples above. 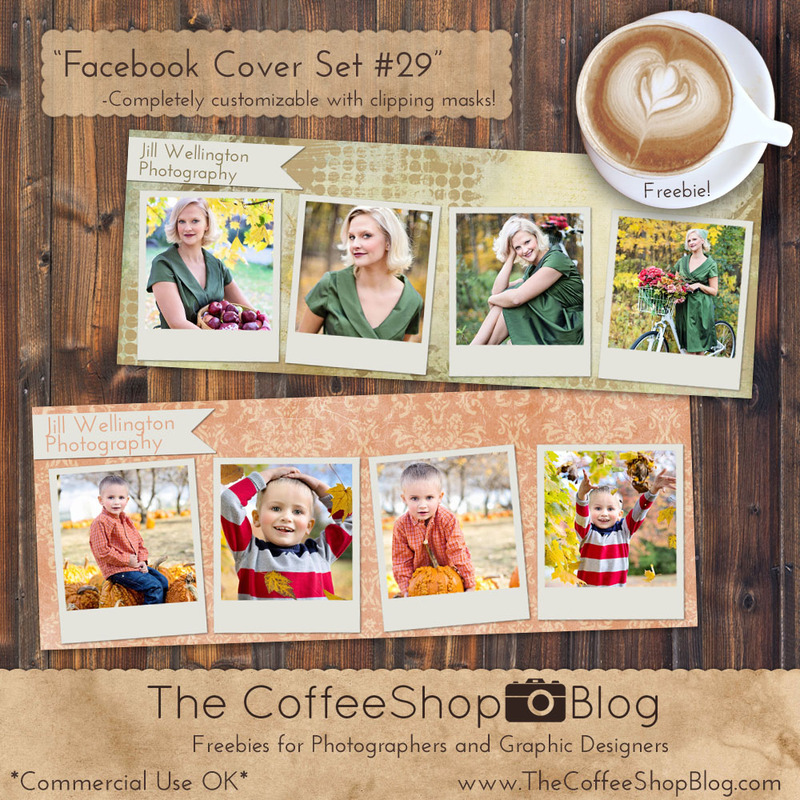 Download the CoffeeShop "Facebook Cover Set #29".